Beautifully updated townhouse located within a short walk to Indian Shores' beautiful Gulf beaches. The Vista Moorings development is a boating community situated directly on the Intracoastal Waterway. 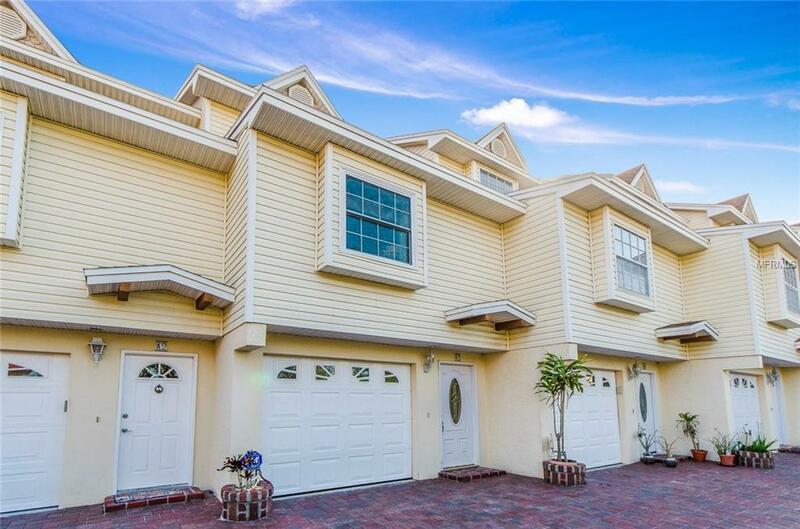 This townhouse has 3 bedrooms with 2 1/2 baths, 2 balconies, a 700 + sq. ft. garage all of which makes this property a perfect vacation home or permanent residence. The rich, tasteful, decor includes bamboo flooring throughout, an expanded chef's kitchen with "ingredients such as stainless, quartz, a center island and cherry cabinets. The great rooms fireplace and balcony makes it comfortable and inviting. The Master Suite includes a completely redesigned bath with an oversized whirlpool soaking tub. Health, safety and convenience were paramount in the renovation with impact resistant-insulated windows, doors and sliders, monitored alarm system, a new AC with UV lights and dehumidifier, a brand-new water softener and a top floor laundry. Located only 45 minutes away from the world-renowned Tampa International Airport and within just a few minutes of a multitude of restaurants, banks, pharmacies and markets. An aerial drone video combined with a walk thru video of the interior is part of this listing. Additional Lease Restrictions Min. Rental Period is 12 Months.